I am thinking to buy a PT-104 in order to monitor several temperatures of an electronic system. I would like to know the pining of the 4-pin miniDIN connectors, where the PT-100 sensors have to be connected. 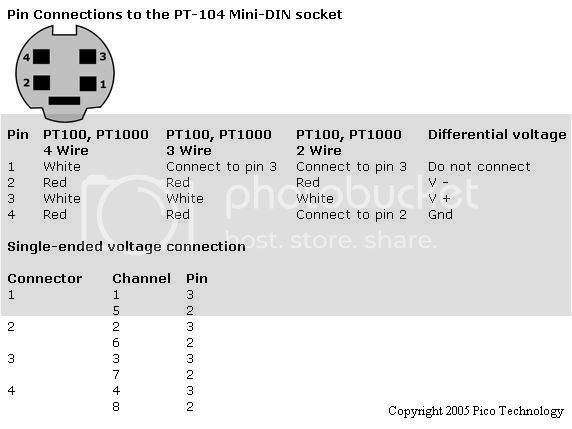 The temperature has to be sensed in placed which are not easily accessible, and thus I would like to buy commercial PT-100 components and solder them to the cable with the proper 4-pin miniDIN connector.